Travel Snippets || Part Three: The “Pazar” and Bergama Kermes! You may have noticed that I’ve been really absent for the past couple of weeks. I know that I keep saying this and it’s is a terrible excuse (albeit a true one), but I’ve been so busy lately, and in trying to keep up with all the things that have been going on, I didn’t have the time or determination to post anything. 😦 I’m back for good now, so you can come on over as often as you like and there will be lots more posts in the weeks to come. Anyway, enough with the ramblings. Here’s the continuation of my Travel Snippet series, in which I arrive in Aegean coast of Turkey and go to a famous local festival. After arriving in Turkey at the Istanbul Atatürk Airport, I took yet another plane to İzmir. Luckily, this one was only forty-five minutes long. When I finally arrived in the city and place I would be staying at, I collapsed in bed, not even bothering to unpack. The next day, I woke up at 4:00 pm in the afternoon! Travelling sure does exhaust you. A few days later, I was well-rested and eager to explore. 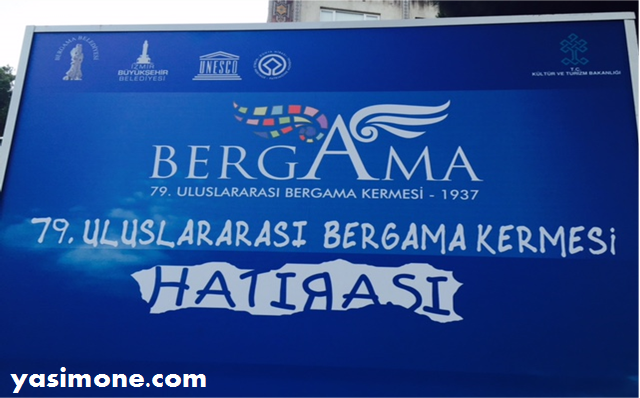 I had already planned to spend the day in Bergama, a city in İzmir which was once the ancient Greek city of Pergamon. 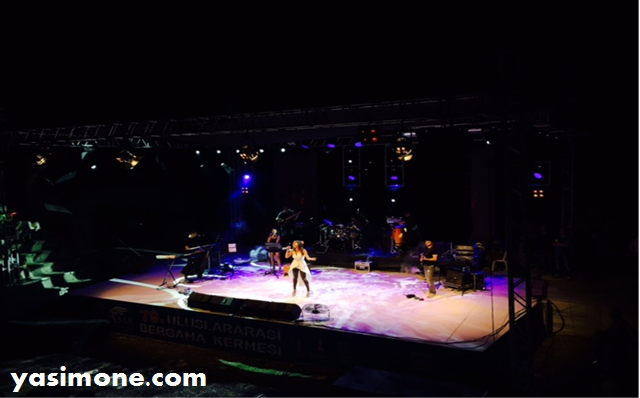 There was a famous festival going on, the 79th Annual “Bergama Kermes,” and I had gotten tickets to go to a concert that was part of the festivities that evening! 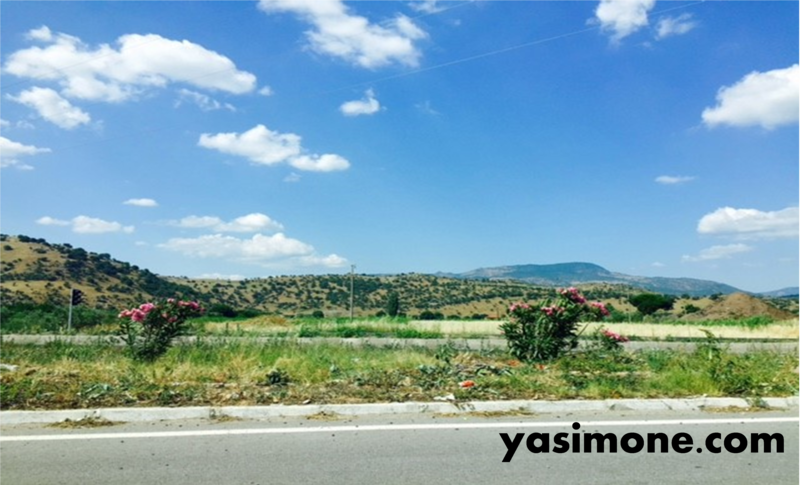 The view on the way to Bergama. How gorgeous is it? 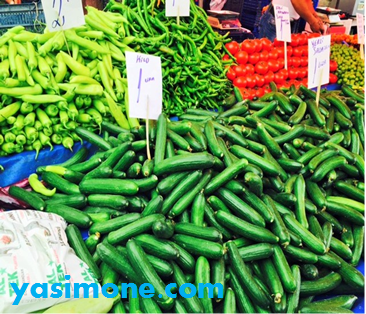 Cucumbers, peppers, beans, and tomatoes at the pazar. Some of the cucumbers were so fresh that they still had flowers on their tips! I started off my morning with going to the pazar, which is basically a farmer’s market where all the locals get their vegetables fresh from the fields. There were dozens of stalls full of everything that was in season: cucumbers, tomatoes, peaches, corn, squash flowers, peppers, strawberries, okra, and so much more. There were also vendors selling tablecloths, dry goods, clothing, and toys. It was such an interesting atmosphere: the sellers calling out for everyone to check out their produce and see how fresh it is, the people bargaining for a kilo of veggies to cost just a little less, everyone walking about to see who has the freshest strawberries. Afterwards, I went towards the centre of the town and noticed that there was a folk dance performance going on. Folk dancers from Bergama, other parts of Turkey, Greece, and a few European countries were all showcasing heir talent and their lands’ culture. It was so much fun to watch and clap along. 😀 What I found thought-provoking was how all of the different countries and regions, even, had some dances that were unique to them, while other dances seemed to be universal, like the circle dance— all of the dance troops had at least one moment when they gathered in a circle and danced holding hands. 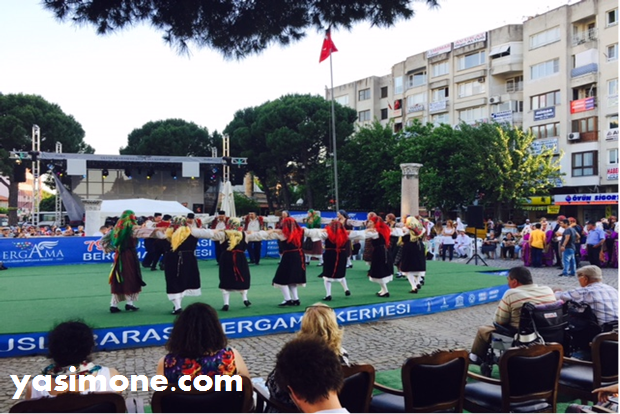 Greek folk dancers at a Bergama Kermes performance. 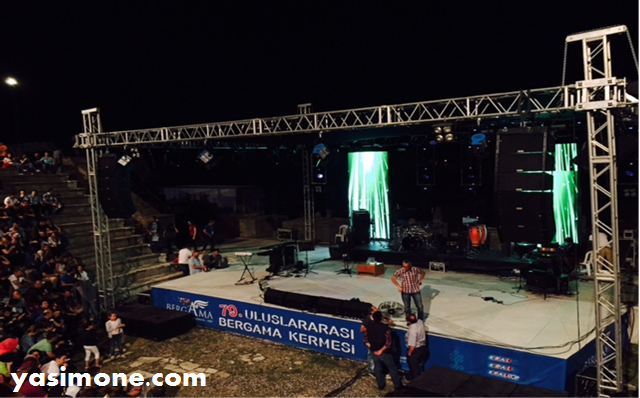 Then I boarded a bus to go up to the Asclepeion where Burcu Güneş, a famous Turkish pop singer, would be performing as part of the Kermes celebrations. 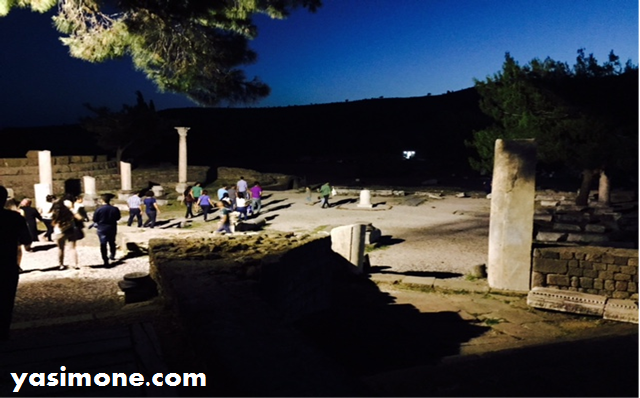 The Asclepion ruins are located on the mountain-side of Bergama. They have been well preserved from when Bergama was Pergamon, a great Greek city-state and many ancient Greeks would go to the Asclepion—a healing centre that honours the god Asclepius— to treat their illnesses in state-of-the-art (for back then) healing complexes with saunas, skilled doctors, and special waters. Of course there was an amphitheatre for entertainment in the evening and that was where the concert was being held. On the way to the amphitheatre. It was quite interesting being seated in the old amphitheatre where ancient people once sat watching plays long ago; and it truly blew my mind to see how the ruins were in such good condition. It was lovely, cool evening and luckily I had brought a jacket. Everyone excitedly chattered to each other and snacked on some sunflower seeds they had purchased as they waited for the concert to begin. The stage just before the concert started. 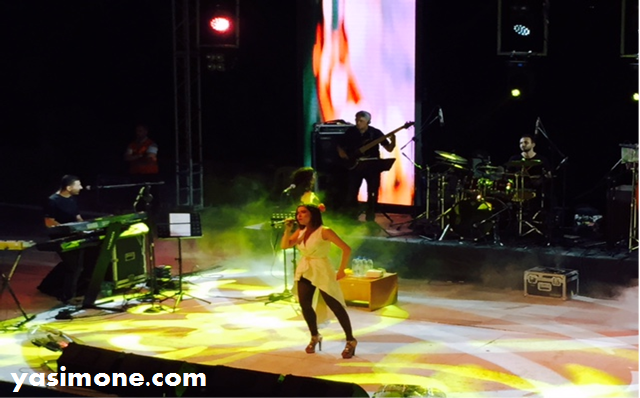 And then the lights lit up and Burcu Güneş strolled onto the stage, singing a song. People cheered loudly and sang along. It was such a fun concert! ← Book Chat #9: Anticipating Magnus Chase and the Gods of Asgard! I enjoyed reading your post a lot, very well written. I hope to see you guys 2016 Kermes as well.